A majority of today’s shoppers are shopping online to buy products and services. You have your Ecommerce website, but that is not enough, you need to increase the visibility and increase the strength of your brand. A brand represents your company, and a familiar brand makes potential customers more at ease to do business. Nobody likes to deal with the unknown or an unfamiliar brand, hence brand building is very essential for the success of any E-commerce website. Why do Ecommerce sites need to build a brand? They need to do so because once you have built your brand, you no longer sell the product, but instead you offer an experience and goes way beyond just your website. A brand is an assortment of customer experiences. Building up a brand in E-commerce is specifically important, as a customer cannot touch and feel the product and more importantly they cannot have it immediately. However, if the customers love the product, they tend to forget the small intricacies like price, delivery etc. involved with it but remember the brand. So, how does one go about building their brand and making it successful? Once you have decided on your target audience you need to promote your products or services brand on all websites frequented by them. Make yourself visible by providing links to articles and blogs. You can even plan an online banner campaign on sites frequented by prospective customers. This kind of a campaign may not only increase the visibility of your brand but also can generate sales leads. Now that you have got the attention of your target audience, you need to work on your website. Define your brand on your website and social media profiles. Lead by example and ensure that your figurehead is a person whom your prospective customers can connect to rather than a virtual entity. Content is the key, speak to your prospective customers. Just having good images and graphics is not enough. The content should be able to reach out to the prospective customers. Lastly, be visible on social media. Social media helps to reinforce the connection that you have made with your prospective customers. Today, in Ecommerce, brand is an important element. It helps customers to identify you from the others and helps define your products. 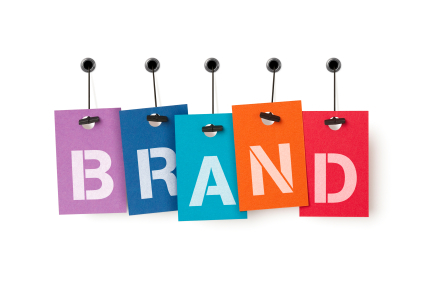 As Phillip Kotler once said “If you are not a brand, you are a commodity”.